5.) 35th Anniversary Of JAWS! This year marked the 35th Anniversary of JAWS. June 20, 1975 was the original release date of possibly one of the best films ever. How did we celebrate? We put the film back on the big screen like it was intended for. Yes we got to see Captain Quint crush that retro can of Gansett again in his glory. 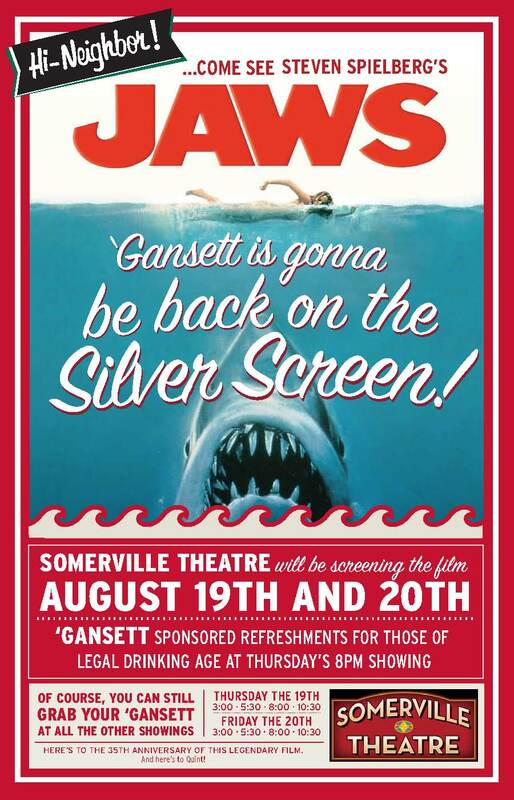 It started in August when the Somerville Theater ran a showing 2 nights in a row and had Gansett specials featured for everyone. It was like watching the film for the first time. When the scene came and quint held the can of Gansett to his lips all you could hear in the theater was the sound of tall boys cracking. A few weeks later it ran for one night at the Jane Picken’s Theater in Newport. Either show was awesome. So seeing on the silver screen again was one of our favorite moments of the year. 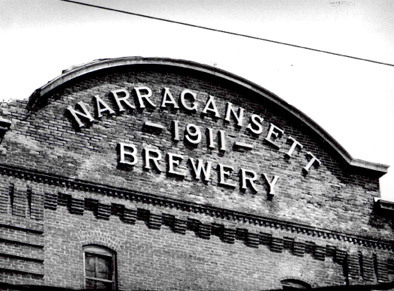 The great city of Cranston, RI was once home to the famous Narragansett brewery and this year mark’s their centennial. That’s right 100 years of history. They held a series of events to celebrate throughout the year. What a great milestone to accomplish. How could we not mention this as one of the top moments in 2010. Our former hometown turned 100. Great job Cranston. Here’s to 100 more! Have a ‘Gansett! 3.) Gansett sells it’s one millionth case since reforming in 2005! This year marked another epic milestone in the resurgence of Narragansett beer. We produced and sold our one millionth case of beer. Not only did the luck recipient above win big, but tracked the process the entire way. So folks got to see the beer business first hand. From production in the brewery, to being loaded on the truck, landing in New England, shipped to a package store and then bought buy a consumer this case had quite a journey. We posted videos and blogged about each step on our site week after week. In the years to come you can count on million more. 2010 turned out to be quite the year for us. There was so much going on and not to mention it was our 120th year. We celebrate all year long. There were numerous promotions at different bars around New England. Everyone was so much fun. Clammie, TallBoy and the Gansett Girls were always there with games and prizes for people. Not to much lots of Gansett beer specials. Plus everyone got to hear a speech about the history of Narragansett beer. Sounds like fun. Then a luncheon was held on Thursday, December 16 at Twin Oaks in Cranston to celebrate Narragansett’s 120th Anniversary. It was featured on WJAR NBC 10 in Rhode Island in the video above and in the Providence Journal, which you can click here to read. Attendees at the lunch were some former Narragansett Brewing Company employees including former RI Governor J. Joseph Garrahy, Herb Browne, Bill Considine Jr. and Bob Burgess with new executives Mark Hellendrung, Jim Crooks and Joe O’Neil. Our anniversary date was actually Decmeber 29. So we decided to go out in style because that’s just how we do. It was an epic bash filled with great live music and more great fun at The Met in Pawtucket, RI. It really topped off the year nice and concluded everything in the perfect way. We’re definitely going to have to do it again. 1.) 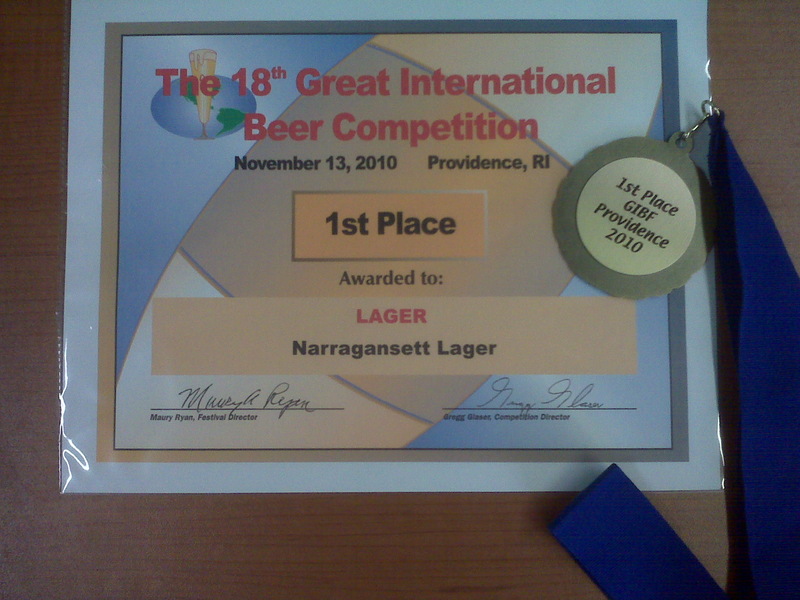 Gansett Lager beer takes the gold medal at GIBF and bests Sam Adams Boston Lager. You heard that right. This just had to be our number one best moment of 2010. 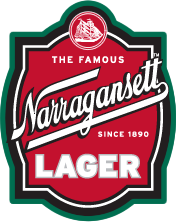 Narragansett lager took home the gold medal at the 14th Annual Great International Beer Competition in Providence, RI for the lager category. Beating Sam Adams Boston Lager and a ton more. You better believe it. 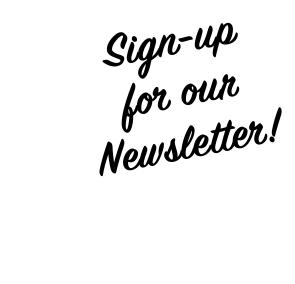 Click here to see the full list. What better way to celebrate than pour a few off the keg during the festival. Thanks to everyone who was there and of course you for drinking the famous and award winning New England lager. This is some of the best news to come during our 120th year. The festival itself was very exciting. Thousands of people crowded around our booth to get a taste of the gold. We also had samples of our light available on draft. It was no wonder we were kicking kegs every hour all day. The line never once died down. If you weren’t there, then don’t sweat it. You can always go out and toast with your own Gansett at home or in your favorite bar. Here’s to you for supporting the very best lager beer.